Gabriella Anderson, M.A., C.C.C. 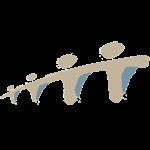 is a Counsellor with specialized training and experience working with children, youth and young adults. She holds a Master of Arts in Counselling Psychology and is a registered member with the Canadian Counselling and Psychotherapy Association. Gabriella works in the alternative school system for Chabad Lifeline and also offers individual and group counselling on-site at Chabad Lifeline.